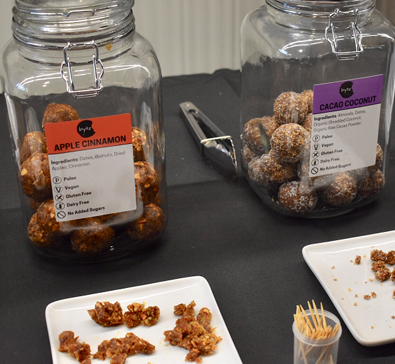 Bytz | Halifax Seaport Farmers' Market Ltd.
Bytz is a brand new business in Halifax that makes heathy Energy Balls and Grain Free Granola. All of the products are free from grains, dairy and contain no added sugars. There are 6 different Energy Ball flavours including the best seller Sea Salt Caramel.